If you dig anything DIY, then you’re in luck. We’ve found 10 homemade DIY dog toys ideas you can make for your beloved furbaby. But even if you’re not a mini Martha Stewart, you still pull off these easy peasy DIY dog toys in no time. They’re straightforward, simple and sure to keep your pup occupied and engaged. This adorable DIY stuffed toy is beyond cute, and best of all, it’s crazy easy to make. You don’t even have to know how to sew! Some dog breeds, especially ones with a high IQ, need extra mental stimulation otherwise they get restless and destructive. This interactive feeder toy will do just the trick. It keeps them busy and engaged and will only cost you a few bucks. 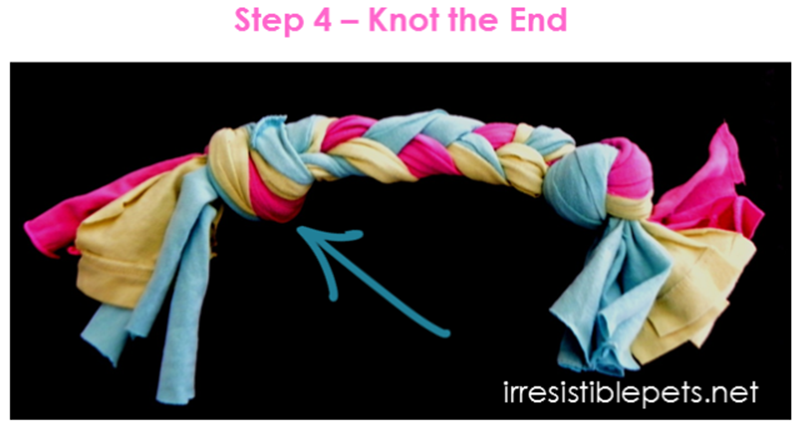 All you need is a ball, some fabric (an old shirt will do) and ribbon to make this engaging DIY dog toy. Rope toys are a popular pick for dogs, and now you can get them for free. How? Simply take old shirts, cut them into strips and braid them together for fabulous and free dog toy. Dogs love chewing on old water bottles, and now you can make the experience last even longer by placing it in an adorable fleece holder that’s shaped like a dog bone. Your pup will love it! If you’ve got a dog who likes to “disembowel” its stuffed animals, then this is the DIY dog toy project for you. With this, the dog is actually encouraged to pull out the pieces! Just be sure you supervise your pupperoo to make sure they don’t accidentally swallow the swatches. Have you ever seen those dogs who effortlessly leap over those obstacle jumps? There are a handful of dogs who can do that at the local dog park near us, and I’m always so impressed. With this tutorial, you can create a DIY agility jump at home and use it to teach your dog this crazy cool trick. This tutorial has everything you need to create your own personalized stuffed squeaky toy for your pup. Once you get a hang of it, how cool would it be to make one as a gift for a fellow pup parent? Some dogs are just brutal to their toys. Toby is such a pup. It’s like he sets out to destroy each and every toy he gets. 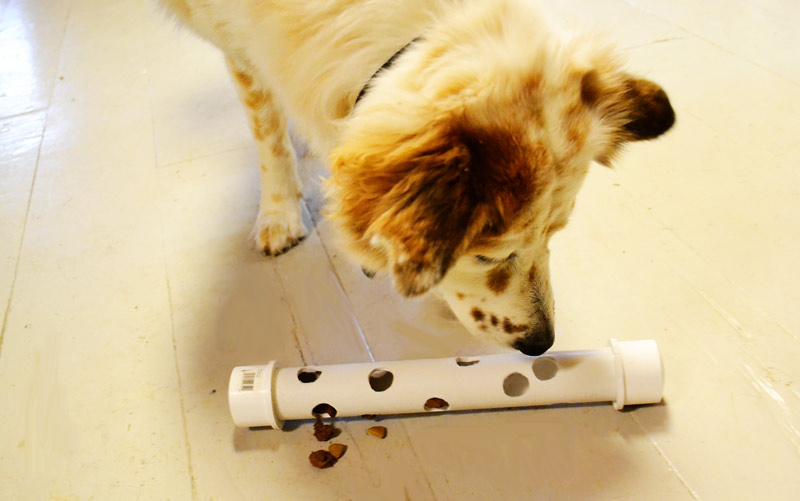 This DIY toy, however, is designed especially for those crazy canines. We’re going to have to try this out! This might just be the easiest DIY dog toy on the list. You only need three things: an old sock, a water bottle and some kibble. Voila! You’ve got a fun, engaging toy for free.